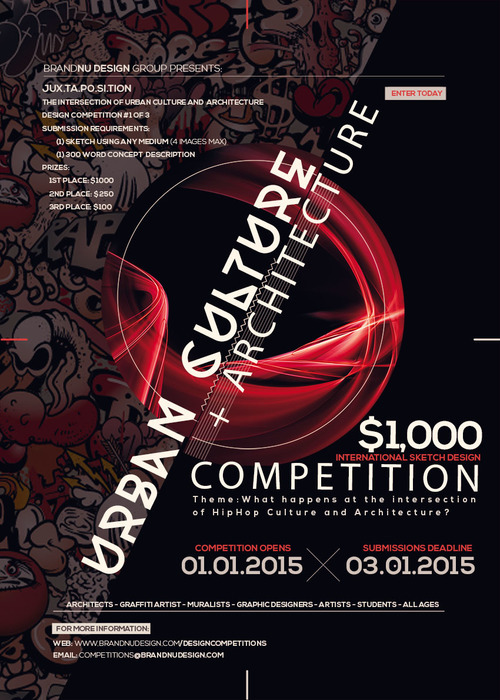 What happens at the intersection of urban culture and architecture? How can the four elements of hip hop (DJing, MCing, Breaking and Graffiti) inspire the built environment? Participants are encouraged to create a sketch using mediums of their choice to depict new building forms, urban design concepts, and/or architectural products inspired by the four foundational elements of hip hop.